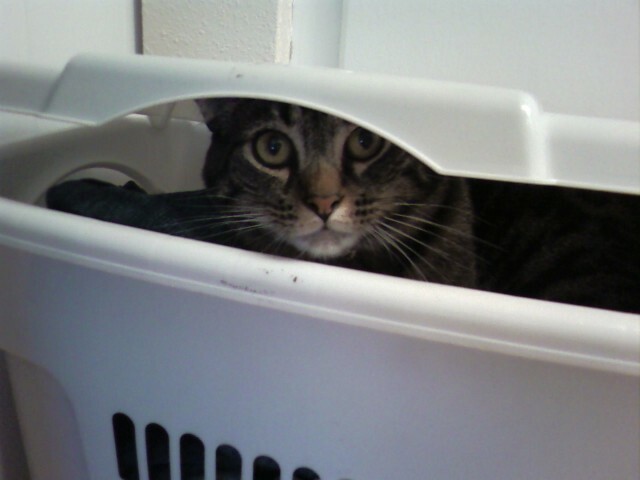 The laundry hamper is apparently the perfect place for an ambush. Having a loving pet is a blessing and a challenge. What are some antics your pet uses to get your attention as you try to write?